Doors open on the F22 Paint Booth Hangar at Langley AFB, Virginia. Rear view of the F22 Paint Booth Hangar at Langley AFB, Virginia. 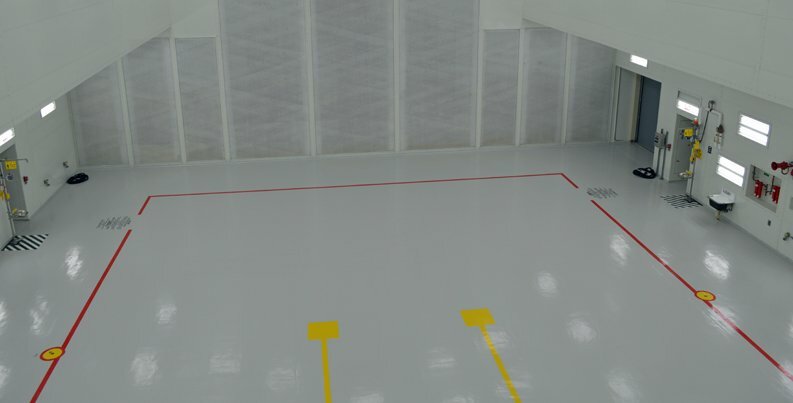 Front view of the F22 Paint Booth Hangar at Langley AFB, Virgina. Aerial view of Paint Booth interior. 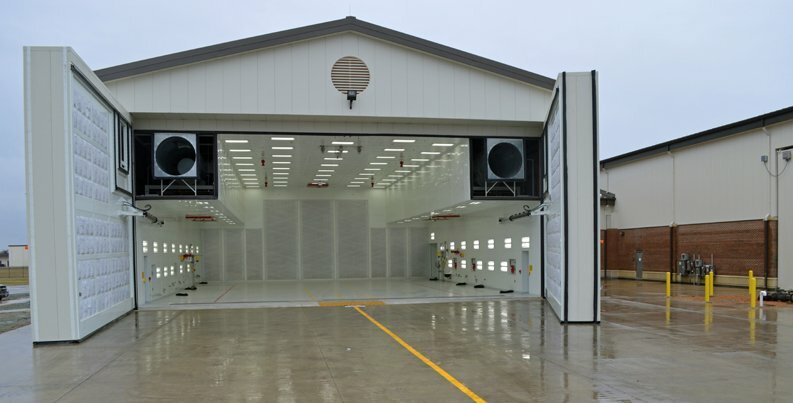 Leebcor Services, LLC was awarded the $6.5 million SDV set-aside design/build add/alt contract to construct a new F-22 Low Observable/Composite Repair (LO/CR) Hangar Bay, which included the addition of an approximately 12,800-square-foot hangar to house an F-22 fighter aircraft paint booth at Langley Air Force Base, Va. 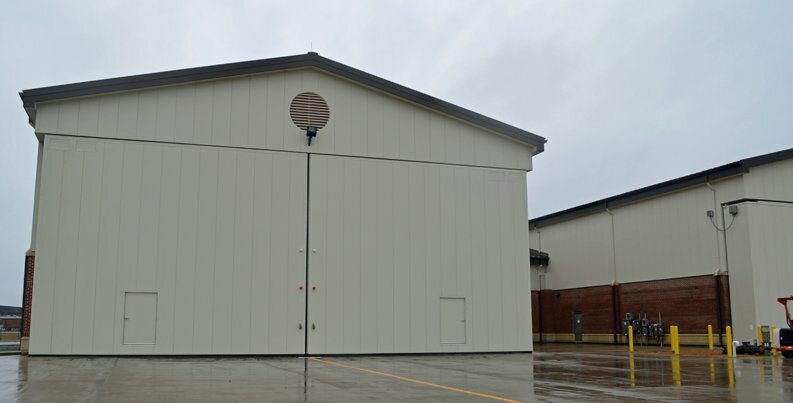 This mission critical project also included an administration area and required the construction of a connection to the existing, adjacent hangar space while keeping the existing hangar fully operational. 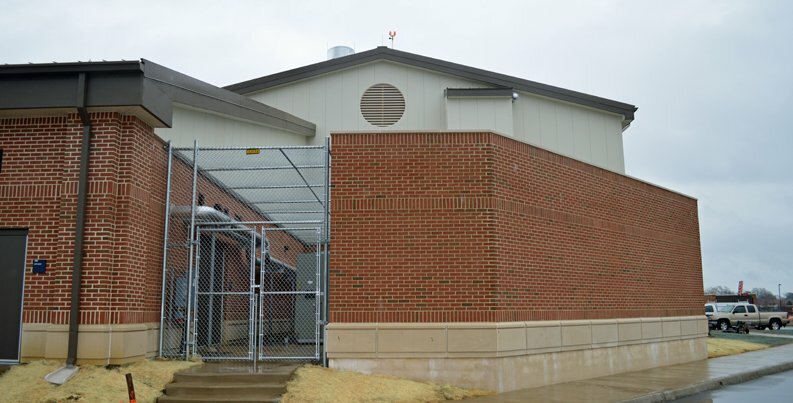 This building is USGBC-certified LEED Gold.